The Chrome Web Lab was a groundbreaking, year-long exhibition, featuring a series of interactive Chrome Experiments that brought the extraordinary workings of the internet to life. 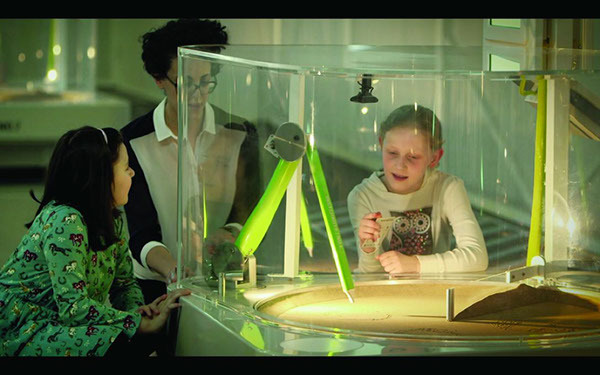 Visitors to Science Museum London played and learned collaboratively with online visitors through controlling physical machines. It was the first exhibit of its kind: it was equally accessible to online audiences as it was to museum visitors, and both groups were considered in parallel throughout the design and development process. The Web Lab operated 24hrs/day during its year-long duration; durint that time, over 600K in-museum visitors collaborated with over 6M online visitors to create millions of pieces of user-generated content that were shared on social networks with millions more. 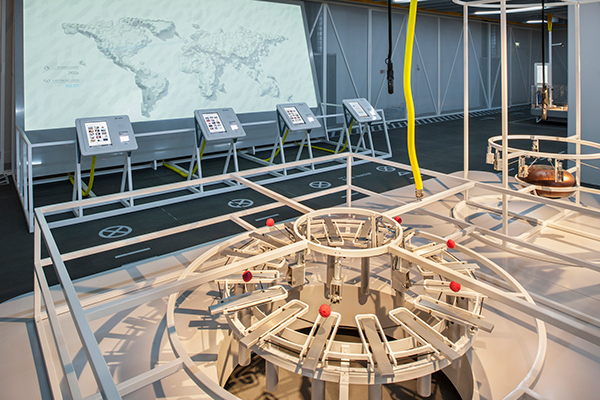 The Web Lab presented a number of challenging design constraints through its scale and format, which necessitated innovative solutions in design for mixed virtual and physical audiences in the museum setting. The interactions needed to provide creative queuing solutions to manage the high throughput of physical and virtual visitors using a limited set of physical experiments; privacy and personalization had to be carefully balanced to create a rewarding but safe experience for all ages; interactive control of physical experiments by virtual visitors had to be carefully designed to allow for differences in connection speeds; and the environmental impact of millions of visitors using and creating with physical machinery had to be carefully designed for. Following the project, Tellart led efforts to release interface and functional code, as well as hardware specifications, for the Universal Orchestra and Sketchbot installations. In 2014, the Sketchbots and their source code were acquired for the permanent collection of the Smithsonian Cooper-Hewitt, National Design Museum in New York City. Visitors watch a Sketchbot at work in the ephemeral medium of sand. The Web Lab explores the workings of the modern web through five major installations. The Teleporter transported enabled visitors to immerse themselves in live 360-degree video of distant locations. Lab Tags provided a tracking system which were as "human readable" as they were "computer readable." 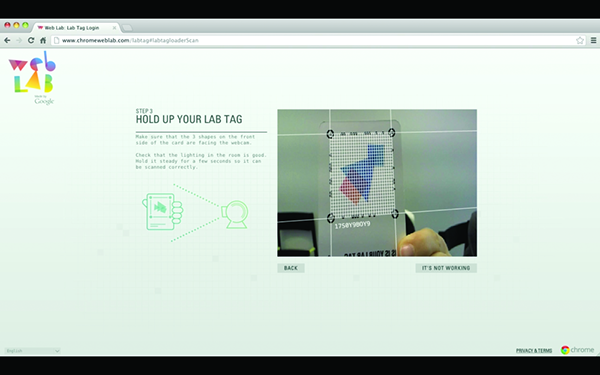 Each visitor–both online and on-site–received a unique visual avatar, which they used to anonymously gather their Web Lab creations and represent digital visitors inside the physical space. 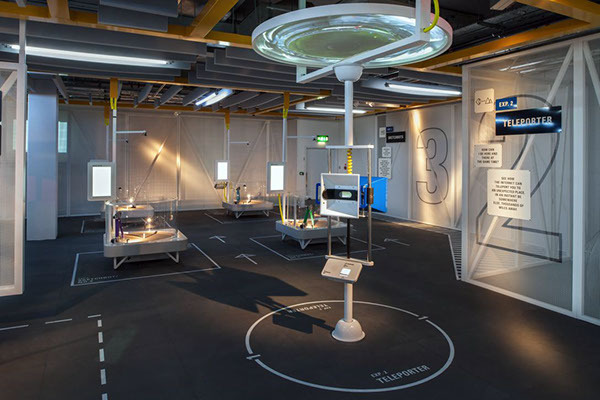 The web interfaces for interaction with the Web Lab, designed together with and built by B-Reel, provided easy to understand illustrations of the technology involved in the Web Lab exhibitions. In the foreground, an instrument in the Orchestra waits to be controlled by an online visitor. In the background, the Data Tracer map is ready to display trace routes and origins of images found around the web. 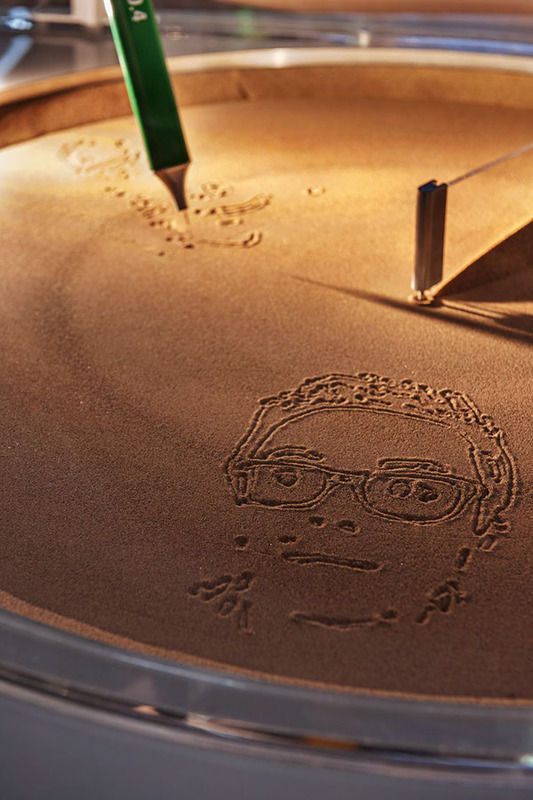 A Sketchbot portrait in sand. Each portrait was captured as a high-resolution image, and video file, available to the users through their Lab Tag identity. The Universal Orchestra, composed of eight percussion instruments, filled London Science Museum with user-generated compositions,controlled by both online and museum visitors. 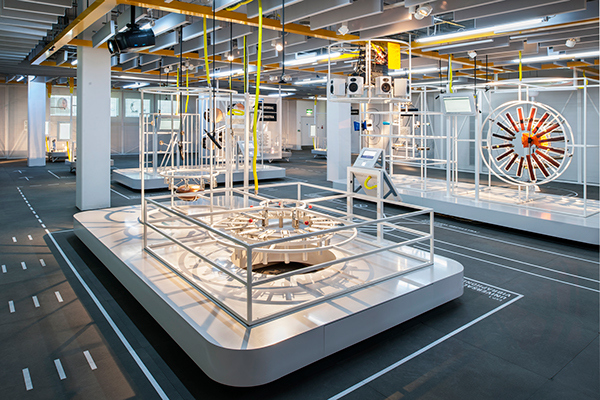 In collaboration with Google Creative Lab, the Web Lab exhibition connects a physical real-time experience within London’s Science Museum to the virtual workings of the internet. 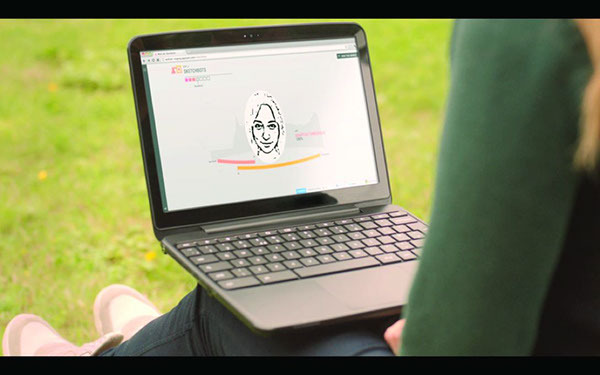 Tellart showed how the invisible magic of technology and the quicker-than-the-eye immediacy of the internet share common ground – onsite and online.